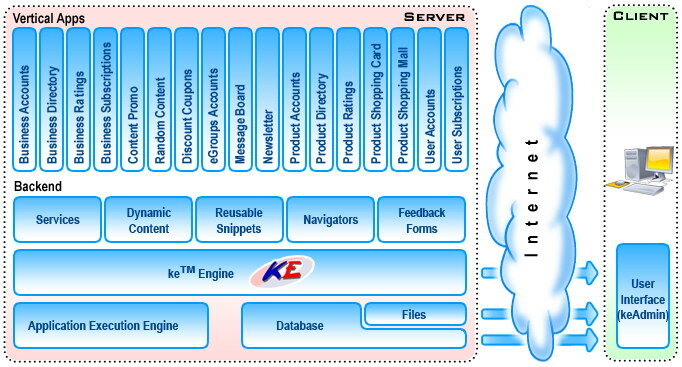 ke™ delivers power, flexibility, and many features at a fraction of the cost of competing products, and, do not forget, ke™ comes with free hosting. Feel free to browse our pricing levels, but keep in mind that we can customize ke™ to fit your needs. Today, just being on the web is not good enough. Your on-line presence is expected to be appealing, easy to navigate and packed full of information. With growing sophistication of Internet users, you website will increasingly face the need to be entertaining and flexible. 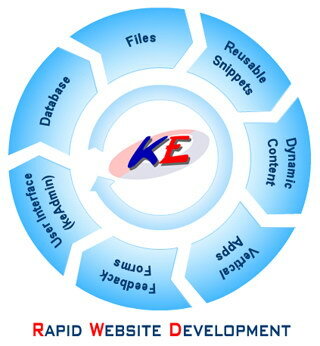 Building a successful web site is more than just throwing together a few web pages and submitting to search engines. Only a carefully thought out and well planned design, promotion, and marketing strategy will ensure the success of your website. Many people are still under the mistaken assumption that just getting their business on-line will bring them overnight success. We can offer the full support you need along the way, and for your peace of mind, you'll always have access to the latest ke™ free of charge.